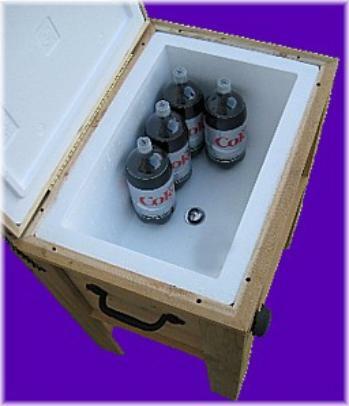 It is a tall wooded ice chest/cooler with your design or logo laser engraved into the wood! It is great for your outdoor summer parties on the patio or by the pool! 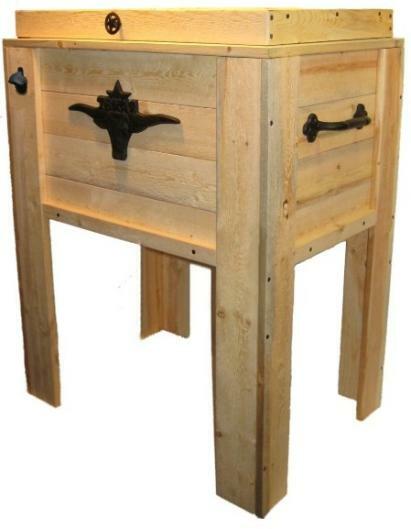 The cabinets are hand made out of rough cedar to give it a rustic look. This rustic look is the "in look"
for lawn and garden furniture. Cabinet Size 31" wide x 19-1/2" deep x 35" tall. No stooping over to get your next beverage. Excellent for patio, pool, deck or tailgate.